ConnTweak V1.0.1 freeware for smartphone, Windows mobile phone free downloads. This tool was developed and tested on the HTC MTeOR. 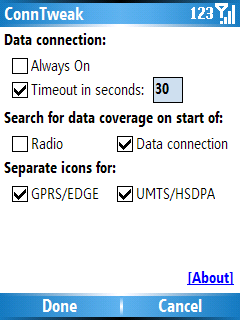 can this thing stop my remote desktop from timing out ? ?